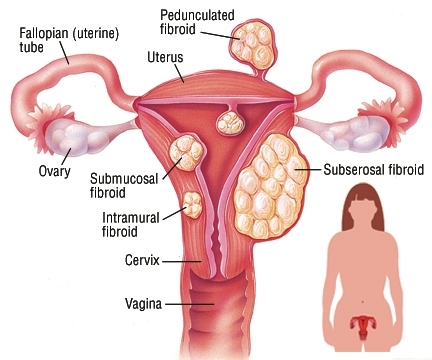 A fibroid is a lump or growth in the uterus that is not cancerous. Fibroids can be as small as a pea to as large as a basketball. They are usually round and pinkish in color, and they can grow anywhere inside or on the uterus. About 30% of women older than 30 years have fibroids, and they usually appear between the ages of 35 and 45. Some women are more likely to get fibroids, including black women, women who have never been pregnant and women who have a mother or sister with fibroids.